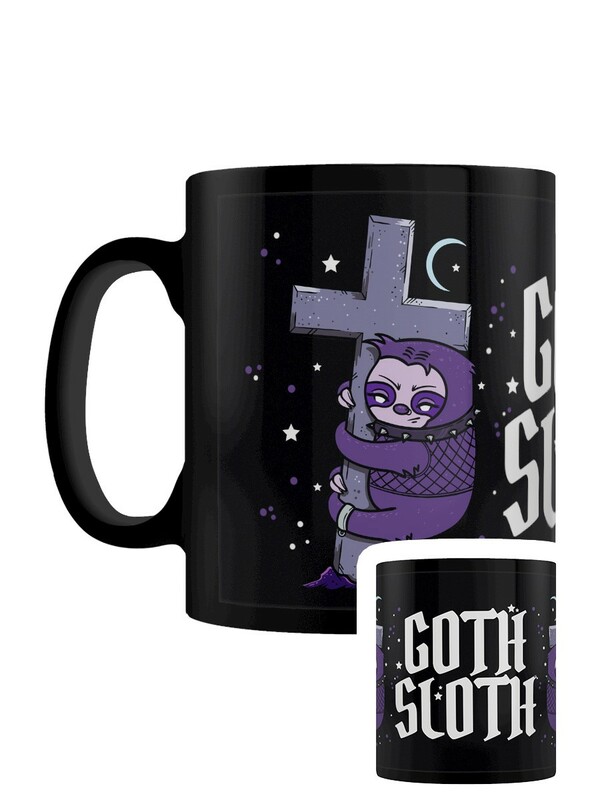 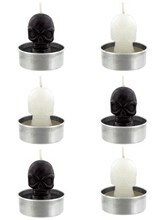 Wake up your inner Goth Sloth with a refreshing cup of tea or coffee in the most apt mug we've ever seen! 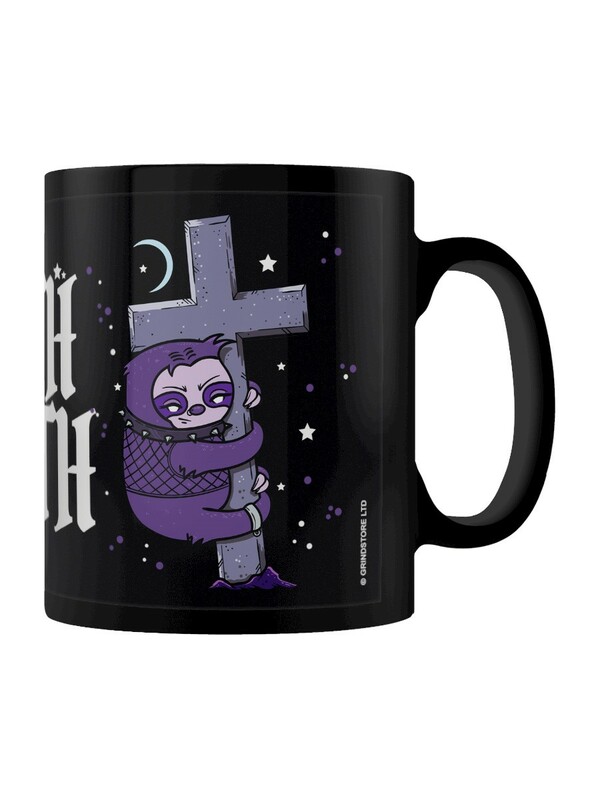 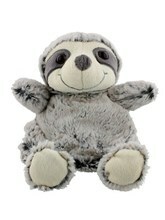 A purple, fishnet wearing sloth hangs from a graveyard crucifix, a crescent moon in the starry sky behind. 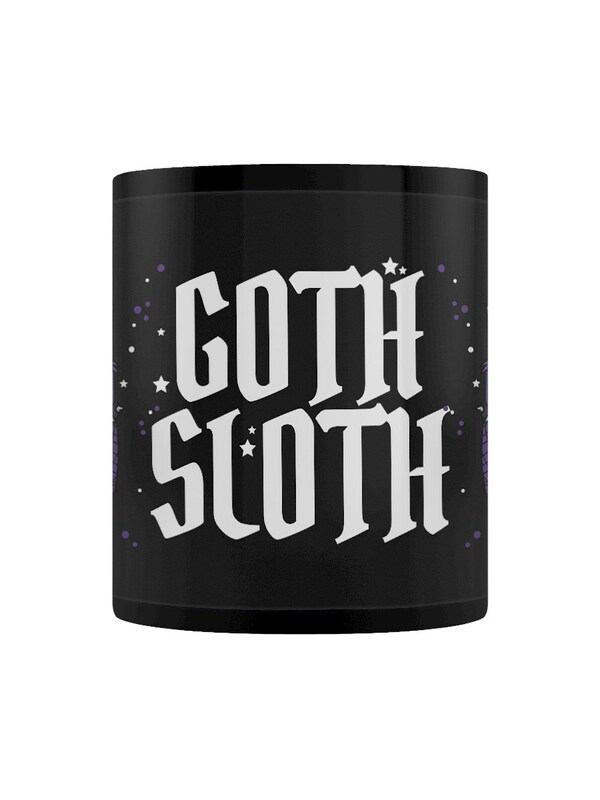 If your spirit animal just so happens to be a lazy sloth, then this matte black mug was made just for you!